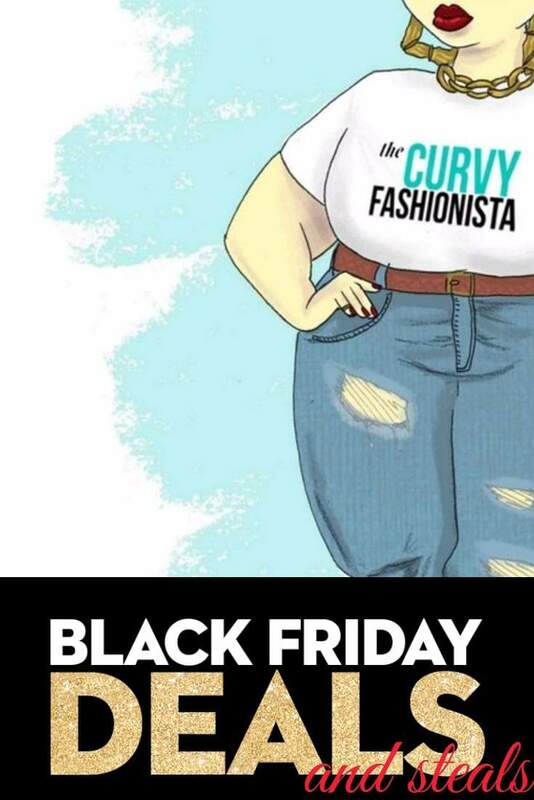 The 2016 Plus Size Black Friday Mega Roundup! LET’S GO SHOPPING: The 2016 Plus Size Black Friday Mega Roundup! Looking for the best of the plus size Black Friday Deals and Steals? Well, we have you covered with our Black Friday Mega Sale Roundup! You know, I love you! This year’s list? Is helllla long and majorly epic! Jam packed with beauty steals, clothing and lingerie deals, as well as those uber fab accessories like wide calf boots and tons of baubles! This year, I have broken down the Black Friday Deals by category and then alphabetized them for you, to make it easy to search for your faves! And because I know that time is of the essence, I will NOT talk your ear off and will let you to it! Make sure you check back on Monday for all of the Cyber Monday Deals!!! Body Shop: BLACK FRIDAY SALE! 3 products for $33, 4 products for $44, 5 products for $55 + FREE SHIPPING. Valid 11/21-11/26. Carol’s Daughter: BLACK FRIDAY SALE! Up to 50% OFF Sitewide + FREE Hair Milk Original with any $40 Purchase! Valid 11/24-11/27. Clarisonic: Enjoy 20% off all devices, plus a free Deep Pore Brush Head and Beauty Bag with orders of $175 or more. Enter code BLACKFRI at checkout. Valid 11/25/16. DS Laboratories: Get 40% OFF + FREE SHIPPING ON ALL ORDERS with promo code 40/40 from Thanksgiving to Monday the 28th. DS Laboratories is also giving a $40 gift card with every order over $100! Kiehl’s: Enjoy 4 deluxe samples plus free shipping with any $25 order! Enter code BFRIDAY at checkout. Valid 11/24 – 11/27. Lancôme: Black Lash Friday: Receive a complimentary eyelash curler and deluxe CILS Booster XL Mascara with any purchase of $35 or more. Enter code BLACKLASH at checkout. Valid 11/25-11/26. Stila: Fill Your Makeup Bag with 25% OFF Site-Wide and Free Shipping No Minimum on Black Friday (11/25)! USE CODE: 25BFSALE at checkout. Shop Now! ASOS: Black Friday – Get 30% Off Every Single Thing! Use Code THANKFUL30. Valid 11/24 8am – 11/29 8am GMT. Bare Necessities: Black Friday One Day Sale – 25% Off Your Order + Free Shipping with code FRIDAY25. Valid 11/25. Bloomingdales: Take 15% off $100-$199.99 or 20% off $200+ on a great selection of items at Bloomingdales.com + save up to 50% on select items! Plus FREE Shipping. Offer valid through Nov 26. Destination Maternity: Buy more, save more! Shop Destination Maternity and save up to 30% site wide. Valid 11/23 – 11/26. Hanky Panky: Black Friday Special: 50% Off Select Soft Modal Thongs and Boyshorts! Today Only! Shop Semi-Annual Signature Sale now thru 11/29/16. Free Shipping on all orders Up to 65% off now thru 11/29/16 during Hanky Panky’s Semi-Annual Sale! Free Shipping on all orders! Hannah Caroline Couture: Take 80-90% off Hannah Caroline Couture Designs with no code needed Shop.hccdesign.co! JCPenney: Black Friday Deals start now online! Shop the best deals for the family & home through 5pm CST Friday, 11/25. JIBRI: 50% off all available items from Midnight to 11:59 PM EST with code: Black16 at JibriOnline.com! LastCall.com: Black Friday Sale: Take up to 80% off Everything at LastCall.com! Online only. Offer valid 11/25. Lucky Brand: Black Friday Sale: 50% off the site, extra 50% off sale styles. Nordstrom: Get Black Friday Deals from Top Brands at NORDSTROM. Old Navy: Best Black Friday Ever. 50% Off Everything-ish at oldnavy.com. No code needed. Online and in-store. Restrictions apply. Ends 11/25. Sealed With A Kiss Designs: Save an additional $50 off orders over $130 on Swakdesigns.com! Black Friday deals can not be missed!! Society Plus: 40% off everything at Society-Plus.com! Talbots: Black Friday_11.25-11.26 Shop the Talbots Black Friday Spectacular 12pm EST on 11/25 through 430pm EST on 11/27 and save 40% off your ENTIRE purchase! Start gifting now (for them & you). Wet Seal: Wet Seal Friendsgiving Sale: Buy one, get one free sitewide! Valid 11/24/16 – 11/28/16. Shop Accessories, Tops & Other Apparel! Z.Bella Boutique: Take 30% off online through Monday with code: TURKEY at checkout! Chinese Laundry: Black Friday Sale: 25% Off Sitewide with code FRIDAY25 at ChineseLaundry.com. Offer valid 11/24 9:00 PM through 11/25 9:59 PM EST. Kelsi Dagger: Black Friday Deal! Get 30% off sale items with code BFRIDAY30 at Kelsi Dagger Brooklyn! Offer valid 11/24 – 11/27. Shop now! Links of London: 25% off for Black Friday, both in free-standing stores and online, from November 22 -27. This promotion will continue online only through November 28 for Cyber Monday. Naturalizer: Save 40% off almost everything + Free Shipping with the code BLK40FS at checkout. Offer ends 11/27 at 11:59pm CST. Nine West: Black Friday Event – 50% Off All Boots and Booties and up to 50% Off almost everything else from 11/21-11/29! Enjoy Free Shipping on all orders! Pour La Victoire: Black Friday Deal! Get 30% off sale items with code BESTFRIEND30 at Pour La Victoire! Offer valid 11/24 – 11/27. Shop now! Rocket Dog: Black Friday Sale! Get 45% Off All Regular Priced Items at RocketDog.com! Offer Valid 11/25 – 11/27. 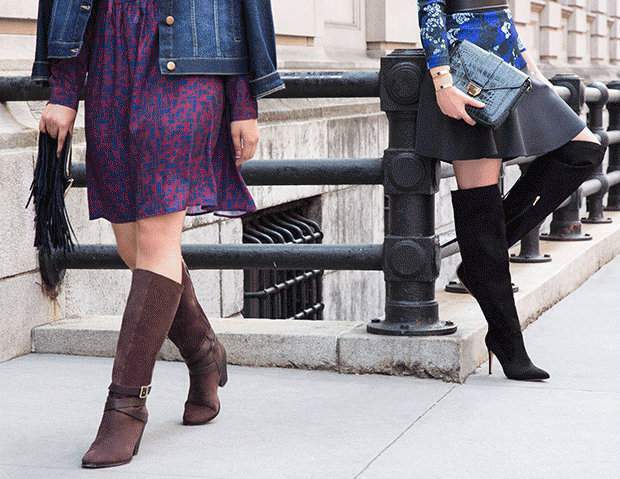 Stuart Weitzman: The Sale Is On. 40% Off Select Styles & Colors. Ted & Muffy: Enter CYBER25 in your shopping bag for 25% off until midnight Monday, Nov 28th. Vince Camuto: 40% OFF Your Purchase at Vince Camuto Black Friday Sale! Enter code BLACK40 at checkout. Valid Online and In Store on 11/25 only! Some exclusions may apply. Did we miss any deals? Drop your deal in the comments below and we will edit you in! Ready for the Holidays? Here are 15 Plus Size Velvet Pieces to Rock Now! This is amazing–thank you so much for putting this together! Hi! Don’t forget laplusapparel.com! We’re serving 40% off your entire order! Just use code FRIDAY at checkout to save 40% off all of our stylish and trendy apparel for the curvy women size 12 and up!!! Love you all and happy shopping??? At Two Big Blondes Plus Size Consignment we’ve got 20% -75% off our eBay store through December 3rd. And we only have a small sample of our clothing online, you can check out our Facebook or contact us with what you are looking for.